we all want to add the DSLR type of touch in our photos. But, we don’t have enough option rather than buying an expensive camera equipment or a precious phone. 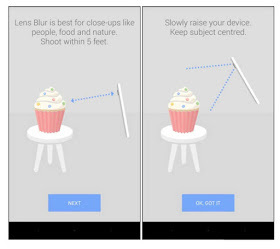 However, here we will be sharing a method that will help you to click lens blur photo using Google camera. Google Camera app comes up with a cool new feature is the focus effect. It seeks to make a simulation of the effect bokeh DSLR cameras (cameras with interchangeable lens). 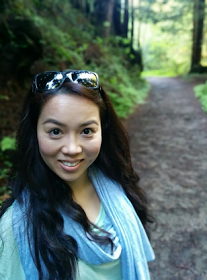 With the new function, the photographer chooses a point of focus and the background is blurred. This effect is somewhat unstable. At times, main image pieces are also out of focus and the edges of the object and the background are a bit strange. But somehow we can make things done with a few settings. 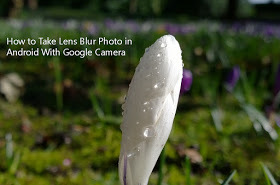 So today I am going you to share the easiest and simplest trick to click lens blur photo in Android devices. 1. Download and install Google Camera from below. 2. 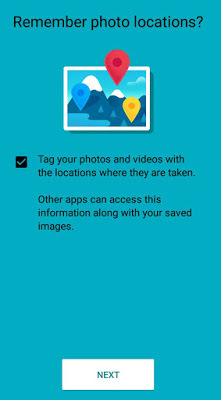 Launch Google Camera App, As you opened the App You will be asked: “Remember photo location?” You need to enable this feature and click “Next“. 3. Swipe to left and select the option of “Lens Blur“. 4. Now it will give you the tutorial on how to click images using “Lens Blur” feature to blur the background of any photo naturally. 5. 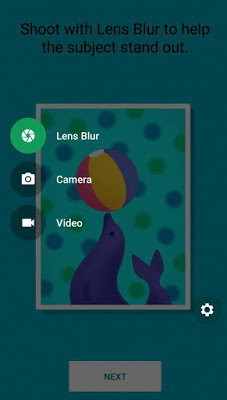 Now you will be redirected to Google camera, Chose the object to focus on once focused click the image and slowly raise your device keeping the object centered. 6. Now you have successfully created the photo with blurred background.you can refocus according to your needs. If you are using Google Camera then you might find it bit difficult to adjust the speed while moving your phone in Lens blur option. You need a little practice to speed to get used to because of even useless too late or too early to move, but I think that it soon gets used to! You can also use some similar type of apps listed below in order to edit the photos and add lens blur effect on your images. Is is working on Meizu phones.? or this application only for Nexus phones.? Bro this works for any android phone.I am using it in my m2note.It works perfectly. OHH..REALLY NOW I WILL TRY IT.